The Rack Warehouse offers a huge assortment of Thule Roof Racks, Yakima Roof Racks, Whispbar Roof Racks and Malone Roof Racks for cars, vans, pickup trucks and sport utility vehicles at discounted prices. 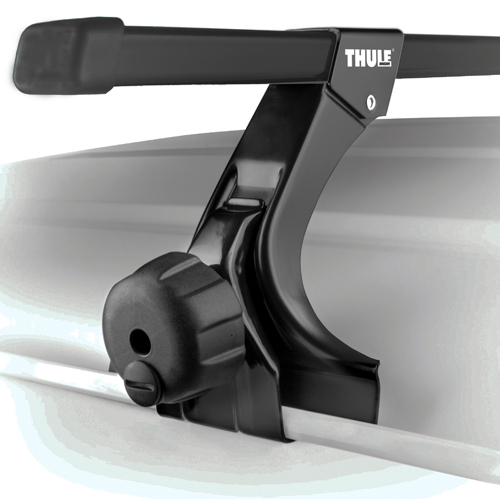 We stock every Thule, Yakima, Whispbar and Malone roof rack offered. If you need assistance choosing a roof rack to match your needs and budget, please call us at 800 272-5362 for assistance. Roof Racks are ideal for carrying bikes, kayaks, canoes, stand up paddle boards, surfboards, skis, snowboards and more. We also stock hundreds of trailer hitch receiver mounted bike racks that will fit any budget and family size. Roof Racks for vehicles with bare roofs, smooth rooflines and no rain gutters, are in stock and on sale at The Rack Warehouse. In other words, if there is nothing on your car roof, we've got a sport rack solution for you. 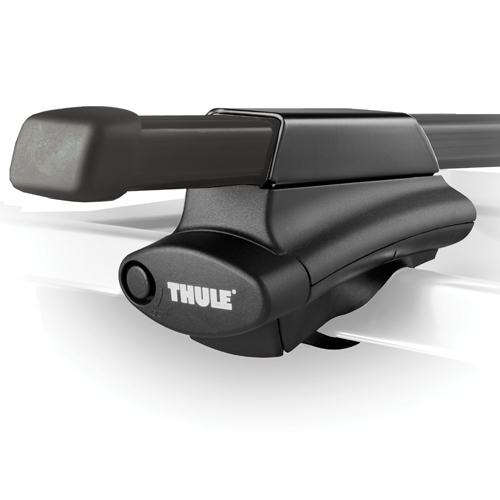 Thule's Traverse Foot Roof Rack, Yakima's Baseline Roof Rack, and Whispbar's Smartfoot Roof Rack are the most popular car racks in this category. All of these roof racks attach in or on the door jambs of your vehicle. 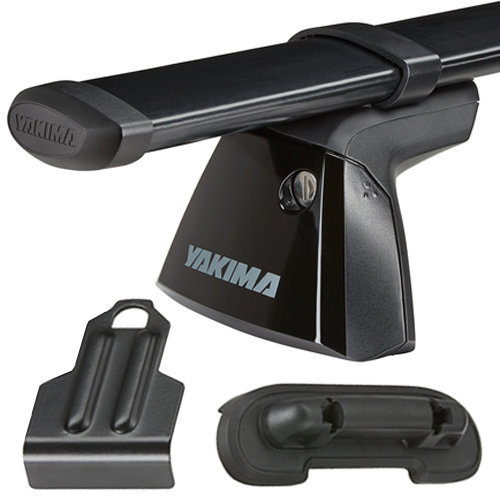 Thule Fit Kits, Yakima Q Clips and Whispbar Fitting Kits are designed to precisely fit and anchor a roof rack to your vehicle. If you need assistance choosing the perfect gutterless roof rack for your vehicle and budget, please call us at 800 272-5362 for assistance.